Here’s to the crazy ones. Whereas almost no one would shed a tear if that wacko Carl Icahn drove himself off a cliff, Berenberg analyst Andaan Ahmad has a plan that true Apple fans can get behind — buy Tesla and, by implication, Elon Musk. Insanely-great or just, well, crazy? “You could strike up a partnership and obtain a new iconic partner to lead Apple’s innovation drive,” Ahmad wrote. For a paltry $19.7 billion, Tesla’s current market cap, not only would Apple instantly gain another iconic product — call it the the iCar — but also a visionary and iconic leader. So, does Apple need another visionary leader or is Jony Ive enough? Additionally, although people complain about his leadership, Tim Cook has done a pretty good job, including execute some rather risky maneuvers, like rolling out 64-bit mobile processors and fire Scott Forstall. 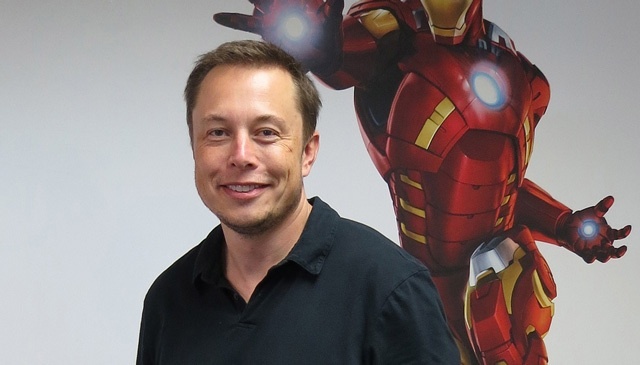 So, should Apple buy Tesla, and Tony Stark Elon Musk?